According to the Department of Environmental Affairs, the total number of rhino poached since the beginning of the year has risen to 408. The number of rhino poached in the Kruger National Park, which bears the brunt of rhino poaching, increased to 265. In North West, 46 rhino have been poached, while 38 have been killed in KwaZulu-Natal, 30 in Limpopo, 26 in Mpumalanga, 2 in the Eastern Cape and 1 in Gauteng. 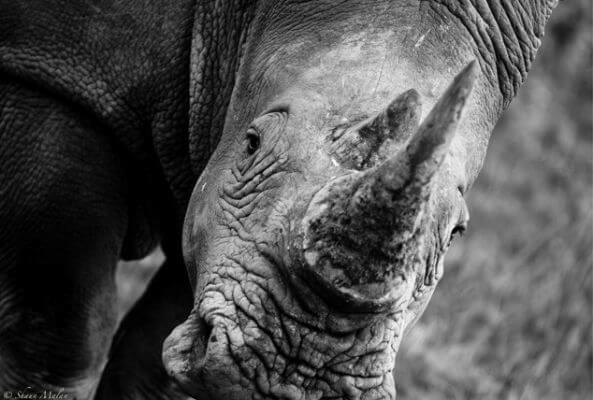 The number of people arrested for rhino poaching in the Kruger National Park has risen to 56. Three suspected poachers were arrested in the Pretoriuskop region yesterday (Tuesday) following an intelligence-driven operation by the SAPS, SANParks rangers and the Park’s Environmental Crimes Investigation Unit. The number of people arrested on rhino poaching-related charges countrywide totals 121. You are urged to report incidents of poaching and tip-offs to the anonymous tip-off lines 0800 205 005, 08600 10111 or Crime-Line on 32211. Source: Department of Environmental Affairs website. Did you know the Shamwari Group has raised almost R2 million for rhino protection and conservation? One way you can help is by booking a Protect & Save safari next time you visit Shamwari Game Reserve. Learn more about our Forever Wild campaign here.